Build it, fix it-do it now! 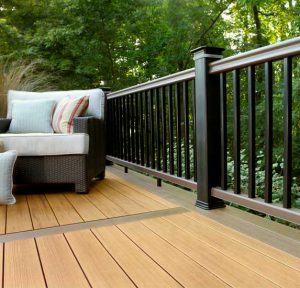 Whether you need railing for a deck, patio, balcony, or front steps, Braun Building Center offers the best products for every application. 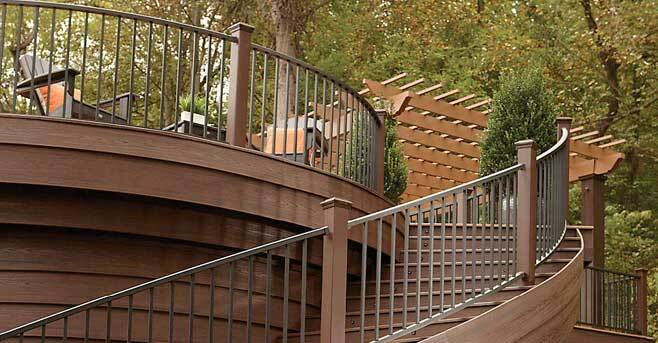 We carry full lines of TimberTech, ProBuilt, Titan Pro, Jam Systems, Trex, Wild Hog Railing, and more. Our products are available in a variety of colors and textures, and we carry everything needed for installation including hardware, posts, caps, columns, fasteners, lighting, and more. Our team of professionals are ready to answer all of your questions and recommend the best products to meet your needs. We can also help design your deck or outdoor space. Titan Pro Rail® is a very durable corrosion resistant aluminum railing system that is clad in an extremely low maintenance-free vinyl that will not fade from the sun or be affected by the cold. Titan Pro Rail was created with the installer in mind. 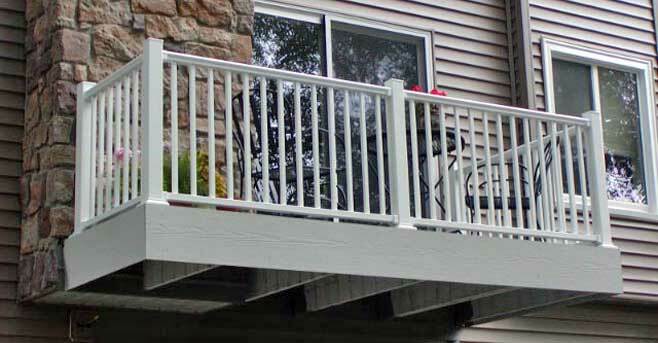 A Titan railing section assembles in minutes and is ideal for residential and commercial applications. Galvanized metal to metal connections enables easy and safe installations. Titan is manufactured using the highest quality materials to meet your performance and building requirements. Titan’s pre-assembled, galvanized steel posts eliminate the time consuming task of installing brackets on the job. Corner, end, and mid posts are supplied with heavy duty cast aluminum brackets attached to vinyl sleeved structural posts. A blank post with separate bracket kits is offered for stair and custom applications. Flexible vinyl bracket covers are supplied with the posts and bracket kits, and can be snapped on when the installation is complete. Versatility…Beauty…Safety. JAM Systems products are attractive, durable and give you the power to create the look you want with a variety of styles, baluster choices, and colors to match your individual preferences. If you’re looking to renovate, add a touch of class, even increase the value of your property, ProBuilt Simple to Assemble Aluminum Railings offer a practical, solution that’s guaranteed to enhance your home’s curb appeal while reducing costly maintenance. 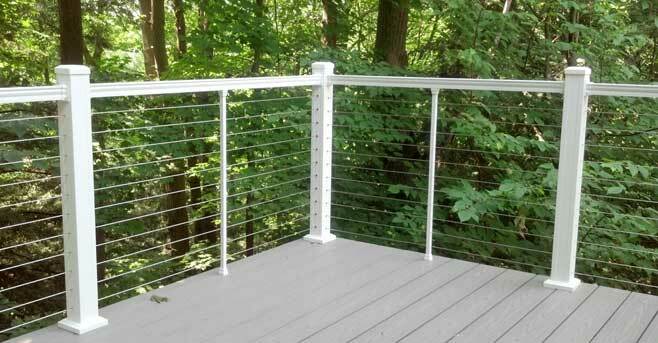 ProBuilt is your ideal simple to assemble aluminum deck railing solution including stair railing. ProBuilt’s handrail system can also safely and elegantly enclose sun decks, balconies and swimming pools. Choose the railing style and colour that best suits your home. The entire ProBuilt aluminum railing system is designed to be simple to assemble and engineered to be installed quickly and easily with professional results. All ProBuilt aluminum railing systems (posts, rails, spacers and pickets) slide and snap into place in less than 10 simple steps for professional-looking results. 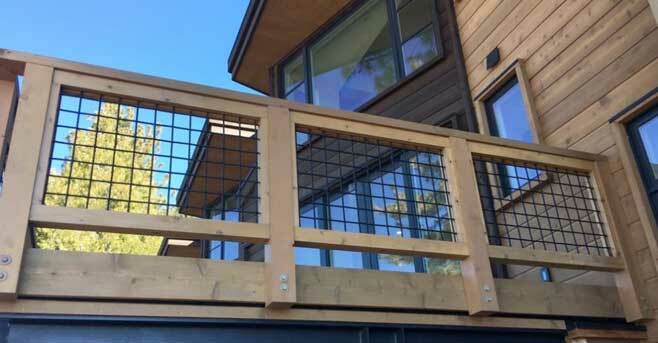 Wild Hog’s smaller 4”x4” mesh pattern panels are perfect for any railing and are great for visibility – no more blocking of landscape views by bulky plastic balusters or high maintenance wood pickets. Wild Hog panels are available in attractive black or silver powder-coated finishes. American-made Wild Hog railing offers many advantages including fast installation, saving time with pre-fabricated railing sizes that meet building codes, and extreme durability with 6-gauge wire. Wild Hog’s convenient panels are available in 36”x6’ and 36”x8’ dimensions and make them perfect for different size projects. Wild Hog has been featured in Professional Deck Builder Magazine and Lumber/Building Material Journal. 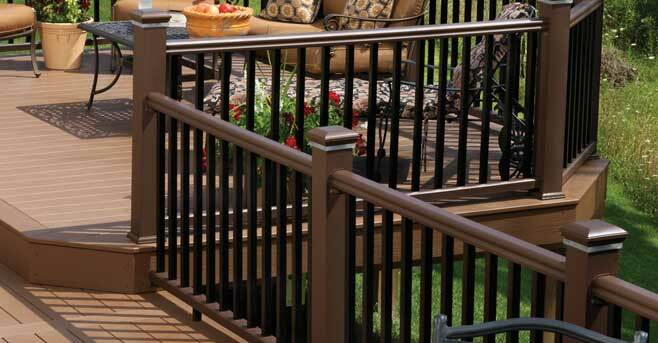 Effortless style, exceptional strength—that’s Signature Railing. 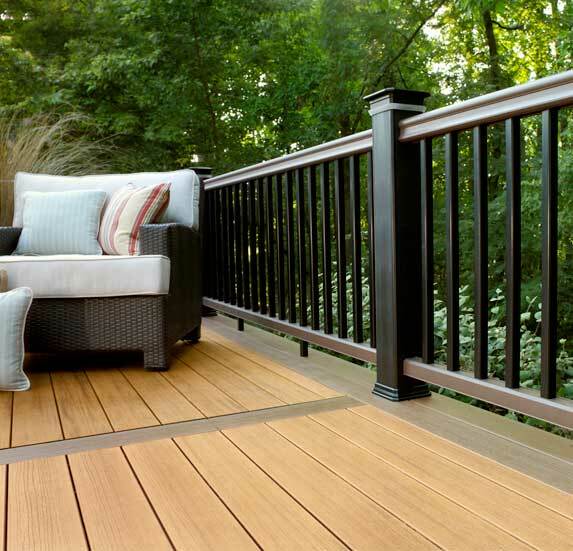 The Trex Signature collection is a customized complement to modern decking – these sleek-yet-sturdily constructed minimalist aluminum railings are specially crafted to complete your deck, patio, balcony, or front steps while emphasizing the view beyond it. Luxurious and customizable Trex Signature features powder-coated aluminum in three neutral colors, Charcoal Black, Bronze and Classic White. Trex Signature is engineered to be curved to create one-of-a-kind outdoor living spaces. 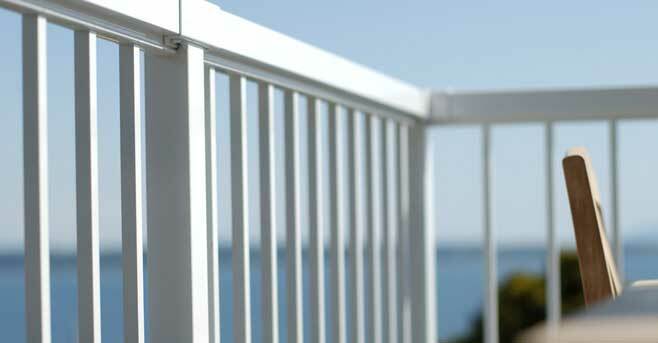 The railing is backed by a 25-year limited warranty. Braun Building Center is your number 1 source for all the quality building products you’ll need no matter what size project.